I was trying to surf online for a good classified ads site to list some of my product when i stumble upon Koko.com.ng. 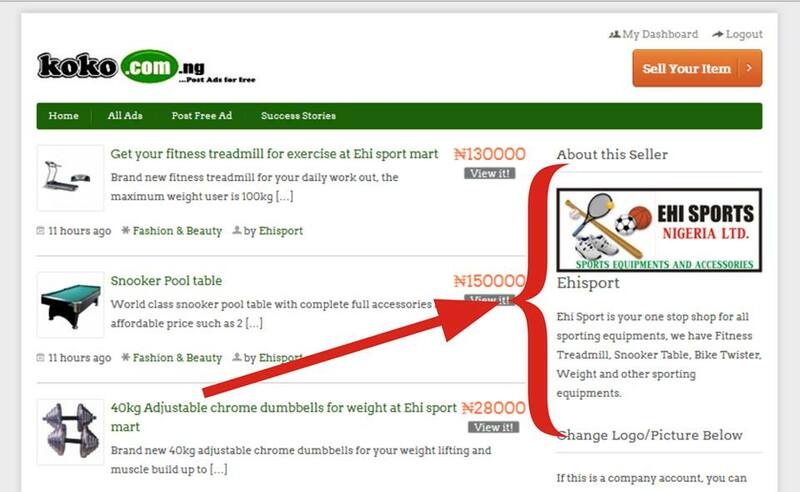 I was surprise to see the change and number of calls i get after listing the product on the site and i describe this site as the best classified ads site in Nigeria. Koko.com.ng is a free classified ads site where you can post adverts of your stuffs such as laptops, phones, cloths, cars, shoes, house, generators, TV, Radio, metals, flowers, caps, bags etc all for free. - Click Post Free Ad button. - Register in 10 seconds. - Add a few photos. You can also create your own sales page on the site i.e you can create list of all your products just like a Facebook page, upload your brand logo, info/company profile and also include a URL of your own your e.g www.koko.com/yourCompany’s name which you give to your customer to view lists of your products direct on koko.com.ng. This is a good way to reach out to your customers which boost your sales of your product with Koko traffic. This is a free and additional services you get when you use the site. 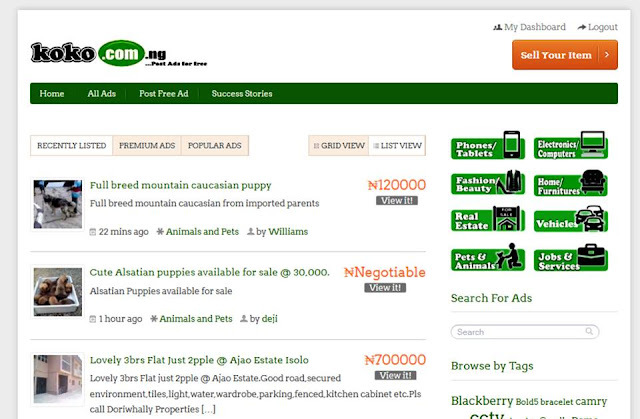 If you need a good classified ads site in Nigeria to post free ads then koko.com.ng is the best place to be. Thanks for reading. I feel this site is new and how reliable it is unlike Olx where people have scattered with scam? Thanks for this info bros... I think I will give it a consideration right now. Thanks bro.....Just a new classified ads site with lot o credibility.